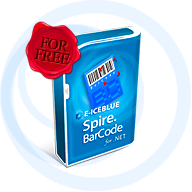 Barcode generation library written in .NET Core compatible with .NET Standard 2. You can construct and send SBPL packet to Sato printer. Sato printer is needed to be recognized by windows driver. ZBar 0.10 Windows binaries - x86 DLLs.